Transmission Shop In San Antonio, Texas - Near Me - Got Transmission Problems? Get your transmission repaired by a certified specialist. The experts at Sergeant Clutch are equipped with state of the art diagnostic tools and equipment to handle any transmission problem at discount prices. We accept most Extended Warranties. Solving transmission problems doesn’t have to be an expensive or complicated process. Sergeant Clutch is ready to handle all of your automatic transmission and manual transmission repair needs. Sergeant Clutch Certified Engine & Transmission Shop are experts in our field and can solve your transmission problems. We have the right tools and the latest diagnostic equipment to make sure your transmission is diagnosed and repaired correctly. We specialize in providing expert quality transmission repairs, transmission rebuilds and transmission replacements in San Antonio, Texas. The friendly mechanics at Sergeant Clutch Certified Engine & Transmission Shop are trained to quickly spot any problems with your transmission. We will diagnose your transmission problem with accuracy and give you a detailed description of any repairs needed to fix the problem. At Sergeant Clutch we perform at a higher standard and are committed to performing all repair services with integrity, respect, honesty and old fashion service. Call or stop by Sergeant Clutch at the first sign of transmission problems, we’re here to help. When the transmission experts at Sergeant Clutch repair, rebuild or replace your transmission it will be fixed. 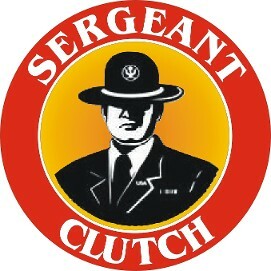 Call Sergeant Clutch 24 Hours 210-239-1600 Ask About 6 Months Interest Free! Whether you drive a manual, automatic, or semi-automatic vehicle, the transmission plays a crucial role in the performance and reliability of your vehicle. The transmission keeps engine output matched with speed and load conditions. Because engines operate at high rotational speeds, the transmission reduces engine output speed and transmits torque through the differential, driveshaft, and wheels. As engine speed varies, the transmission switches between the gears that influence the amount of torque applied to the wheels. Transmission fluid performs a variety of duties, depending on the type of transmission. Transmission fluid acts as a cooling agent and protects the transmission by lubricating the internal gears and preventing corrosion and rust. In a manual transmission, clutches and gear shifts provide pressure and force—like engagement and disengagement—while in an automatic transmission, transmission fluid provides these same operational functions of force and pressure. Transmission trouble is a serious concern in overall car maintenance. 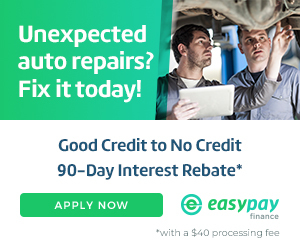 Taking action after hearing irregular sounds from your transmission can help prevent major transmission repairs, although there are occasions when a transmission replacement is the only option. Grinding and crunching sounds will alert you to issues with internal gears. Even if your transmission is in neutral, abnormal noise is a sign that you should replace internal transmission components like bearings, gears, shafts, and dirty or stale transmission fluid. Regardless of whether your vehicle has an automatic or manual transmission, slipping out of gear is another sign of transmission trouble. The smell of burning fluid coming from your air vents will alert you to an overheating transmission. If a breakdown occurs, be sure to contact us 210-239-1600.